Auto makers are notorious for using cheap components and taking shortcuts. Lord knows this Jeep is no exception. People more knowledgeable than I weren't happy with the filtration of the factory fuel filter...not to mention it's price. 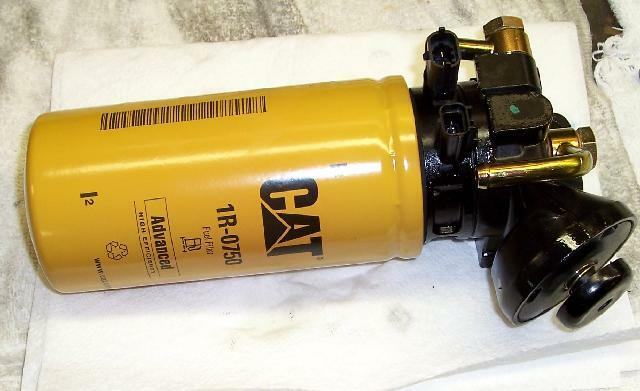 Greg Landuyt of Lubrication Specialist designed an adapter fitting to use the CAT 1R-0750 fuel filter with the factory housing. 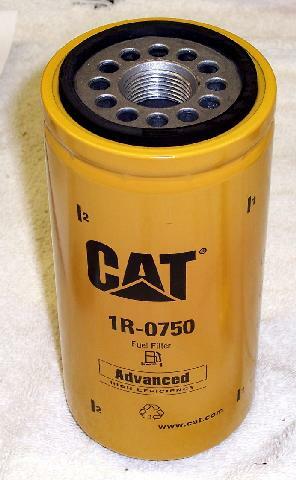 The filter is plentiful, economical, and is one of the best diesel fuel filters available. I purchased one of his kits. Update: He no longer makes these kits since the CRD was discontinued in the Liberty. 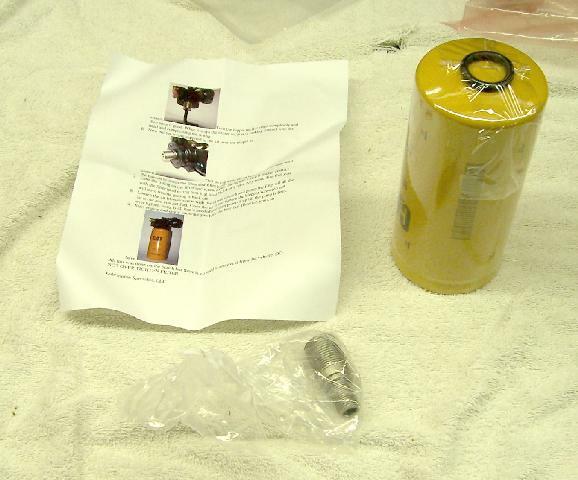 Here is the kit: CAT 1R-0750 filter, a nicely-made adapter, O-ring, and very nice instructions. It arrived the day after I ordered it. Here is the factory setup. 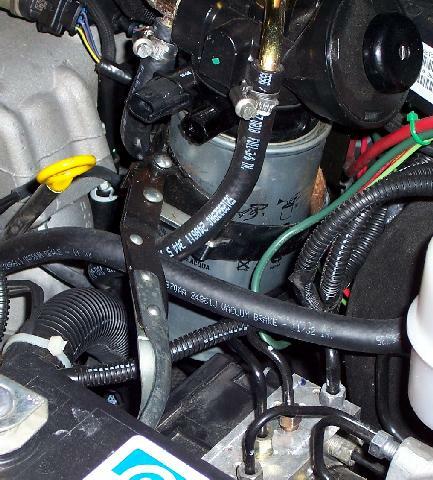 The first step is to remove the water sensor (green connector on the bottom of the filter). I reached up from under the Jeep and it popped off easily. Then loosen the drain on the bottom of the filter to drain it. I was able to get a filter wrench on the filter, but it was tight. I was able to turn it a little at a time until it was loose enough to turn by hand. ...remove the whole assembly and take it to the bench. I would HIGHLY recommend this. A couple electrical connectors, a couple hose clamps, and a couple 13mm nuts and the thing comes right off. 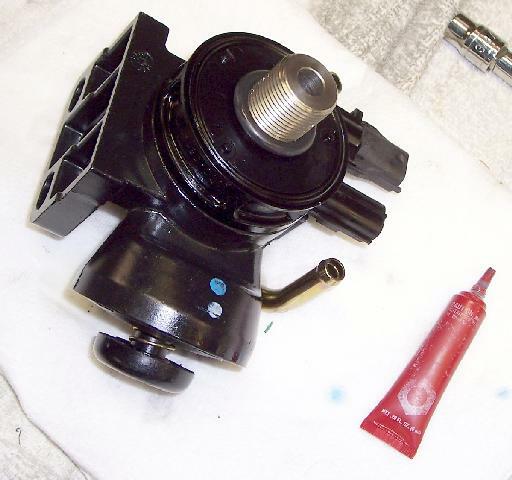 Here is the disassembled factory fuel filter housing. 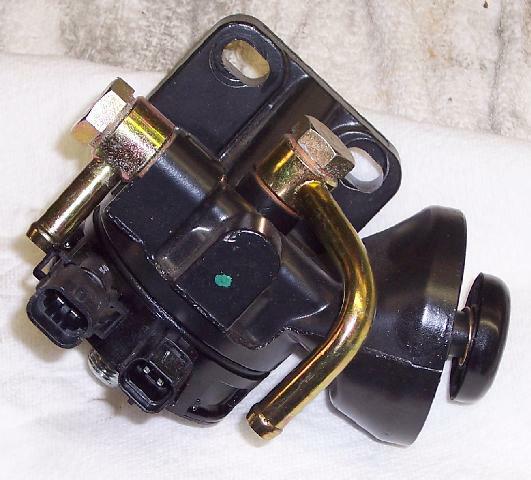 The piece on the right contains the fuel heater element. It is plastic. 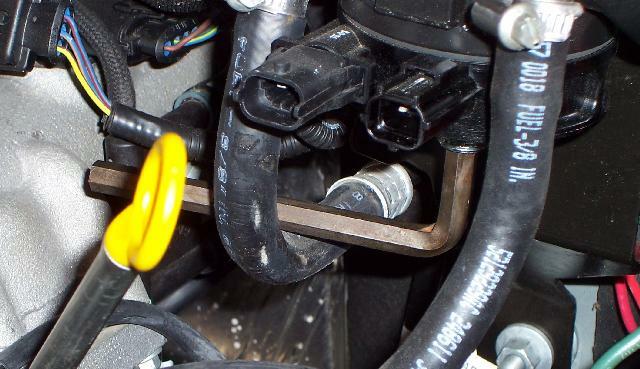 Several people have had problems with leaks between the two pieces or from the connectors. This should have been one machined piece, but is another example of doing things on the cheap. I spent some time cleaning the factory thread locker from the threads. 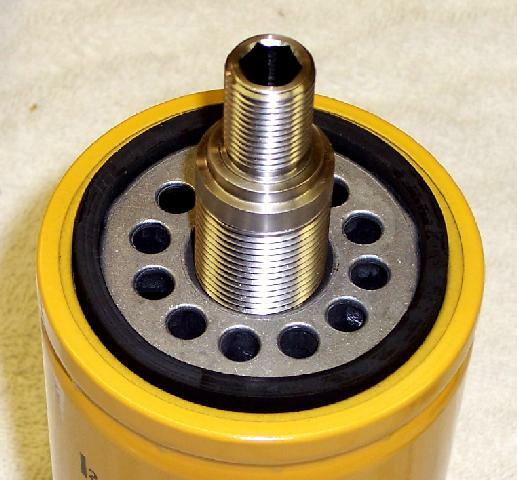 Apply some blue thread locker to the adapter fitting and install it with a 3/8" Allen wrench. You want the assembly to be tight but not too tight. 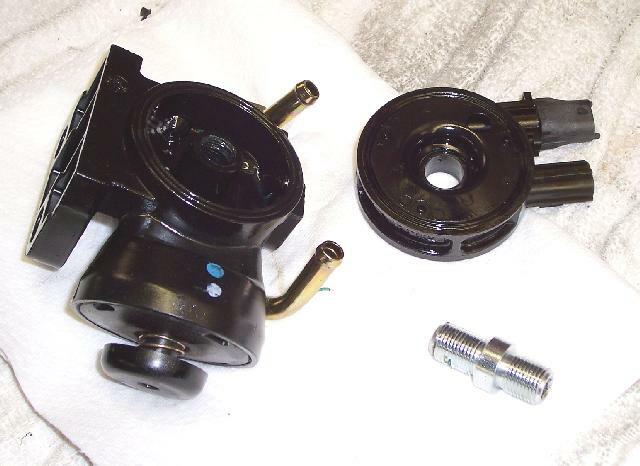 Too tight can cause the gasket between the two housing pieces to leak. The O-ring from the kit is installed over the adapter fitting. Here the new filter is attached. The assembly is reinstalled. 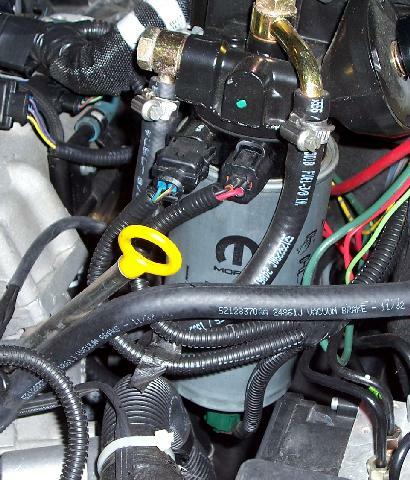 I zip tied the water sensor line out of the way (blue arrow). It is no longer used. 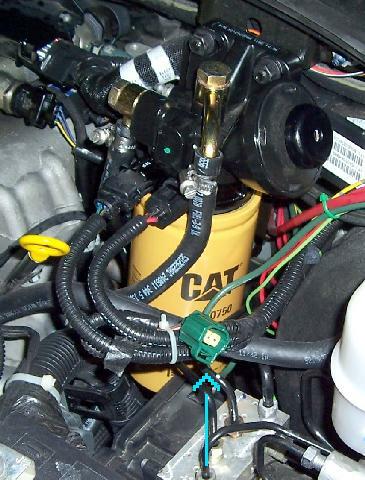 Prime the filter, run the Jeep, and check for leaks. Now you have much better filtration.